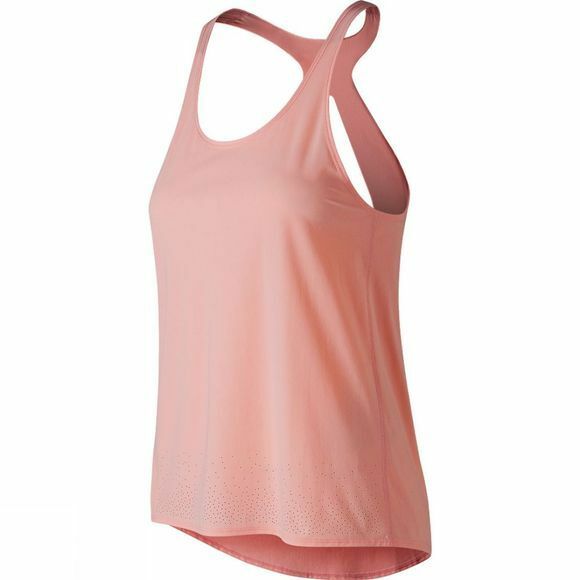 Cut from ultra-soft, stretchy silk-like knit fabric, the Captivate Tank from New Balance brings a luxuriously lightweight fit and feel to your workout arsenal. 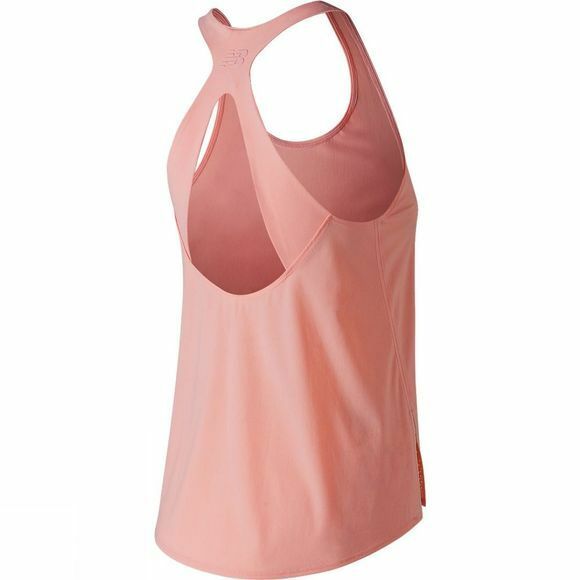 The feminine silhouette in an athletic fit features a stylish cross back that welcomes fresh breeze while showing off hard working shoulders. A welded forward side slit offers extra ventilation and ease of movement, while perforations at the hem further up breathability, helping this airy top double down on performance technology.